In this episode, host Rebecca Galardo discusses the topic of The Inner Critic with Author and Teacher Holly Lisle. 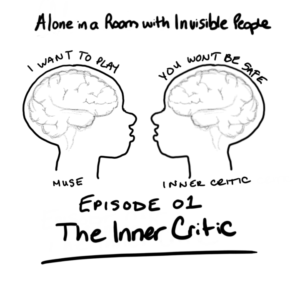 They cover how the Inner Critic is both harmful and helpful, how to use it to your benefit and also how to shut it off when you need to be focusing on your muse. *We plan to have Holly’s audio fixed in episode 02 and on.